During August 2013, the fine folks from the Edison Awards will be asking the companies with the world’s best innovations a series of questions on Twitter, so you can tell them about your new product or service. Don’t forget to follow them on Twitter, so you’ll be the first to see the #RFInnovation (request for innovation)! Edison Awards be inviting those who enter this information to participate in a live Twitter chat to ask more about their innovation. This is the first step, then we will let them know when the chat takes place. They will have to participate in the chats, then we will judge them on their answers to see who has the best criteria to win a nomination. The Edison Awards® are among the most prestigious accolades honoring excellence in new product and service development, marketing, human-centered design and innovation. 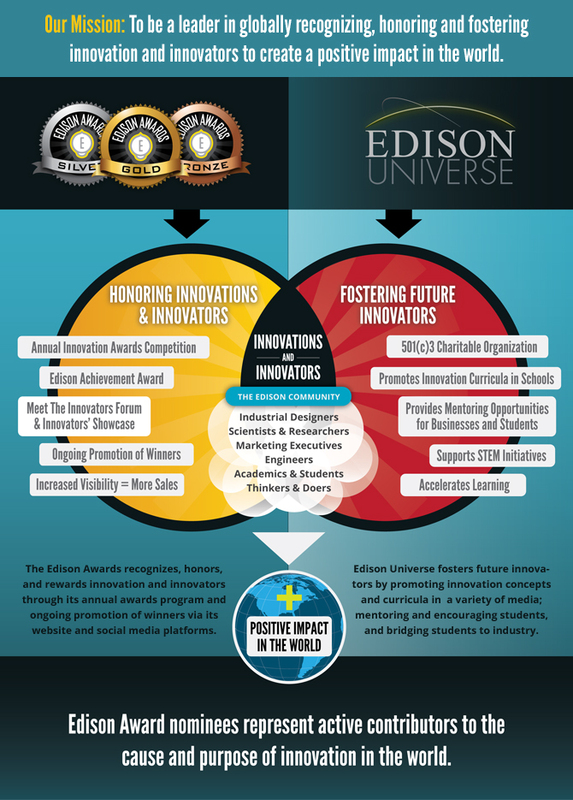 Unique to the world of award programs, the Edison Awards® are focused on the innovators as much as the innovations. Award winners represent “game changing” products, services and excellence and leadership in innovation around four criteria: Concept, Value, Delivery and Impact. An Edison Award represents significant value to the award winner and to the cause of innovation.